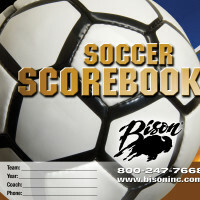 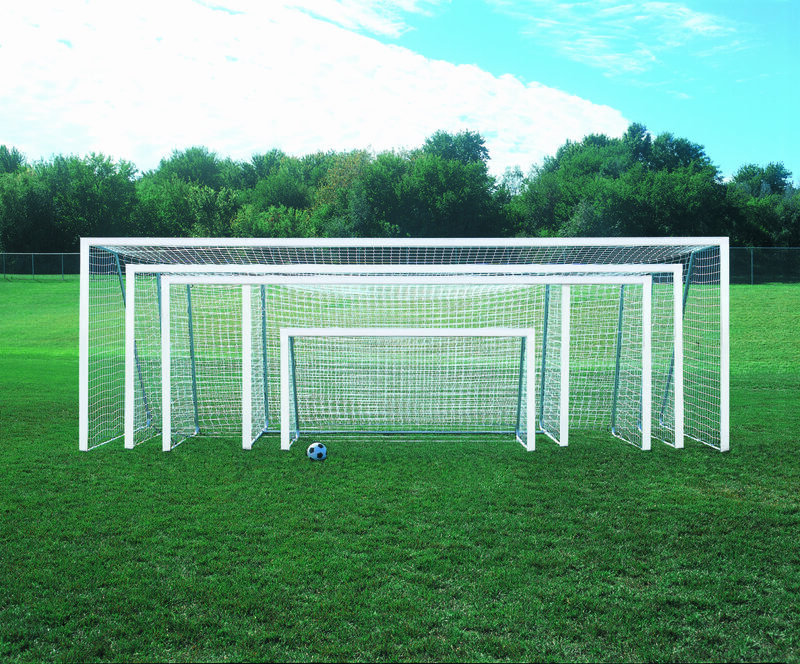 2" x 4" Rectangular ShootOut Value Soccer Goal Packages - Bison, Inc.
All Bison ShootOut soccer goals are constructed with special aluminum extrusion with rounded safety corners and our exclusive torque tested backstay attachment system reducing the stress on vulnerable joints that often result in premature goal weld failure. 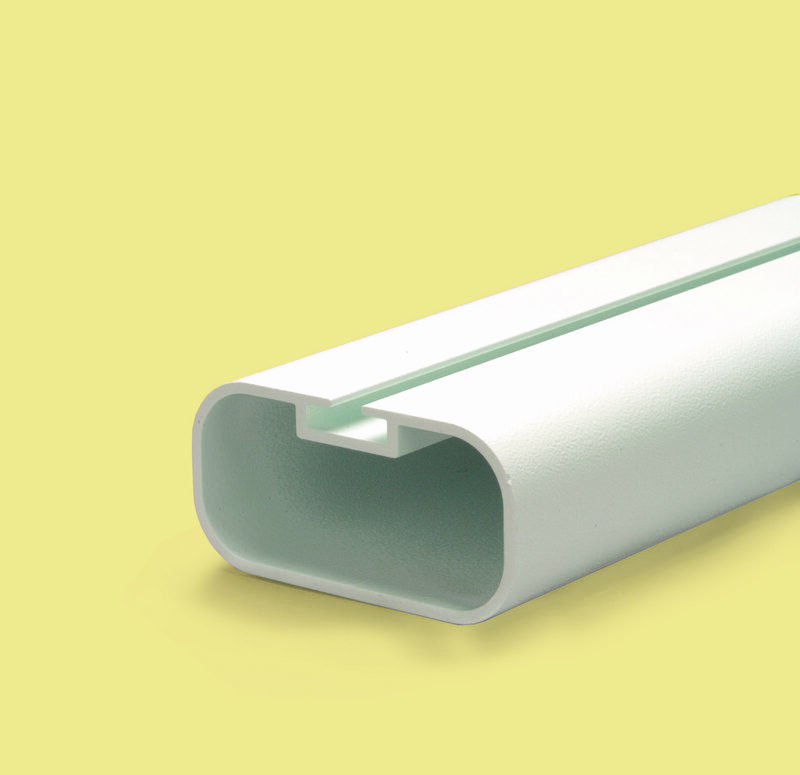 These value packages are available in five sizes (2″ x 4″ rectangular extrusions) and three sizes (4″ round or 4″ square extrusions). 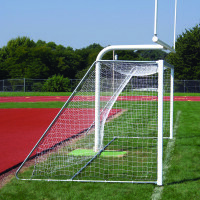 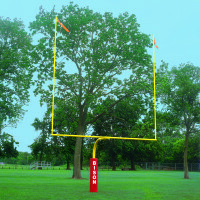 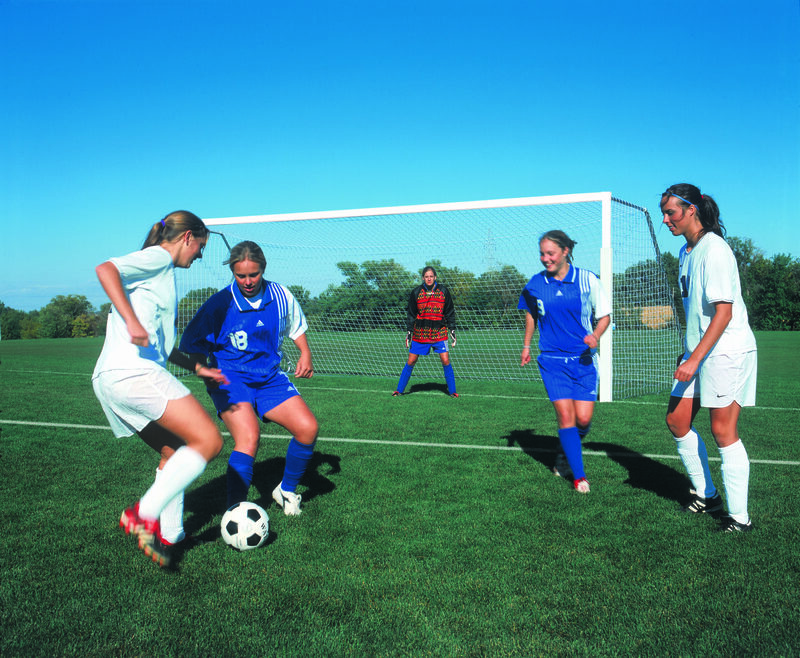 All ShootOut soccer goals feature extra rear depth for reduced tip over risk and a rear horizontal stabilizer bar that can be positioned closer to the goal face for compatibility with football goal posts on shared sport fields. 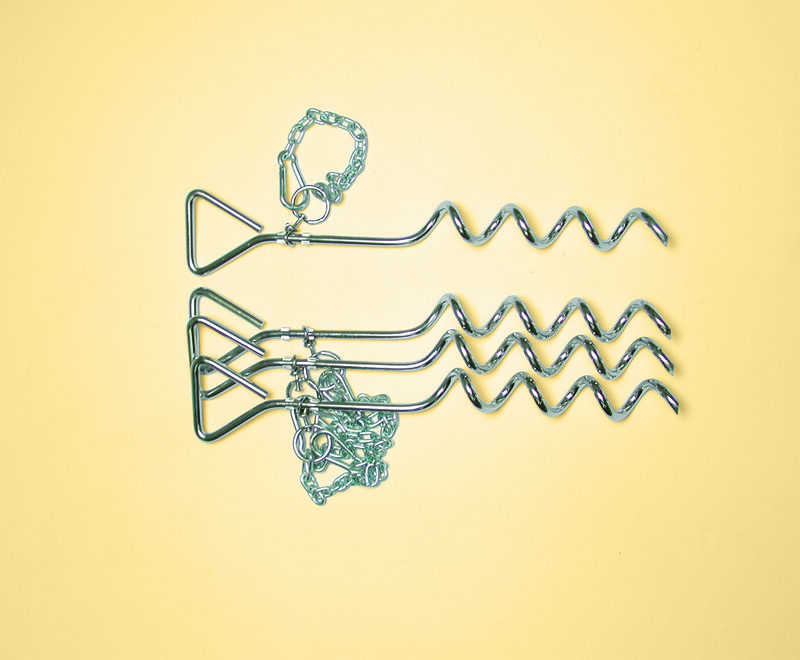 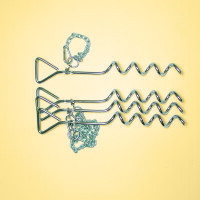 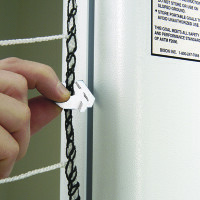 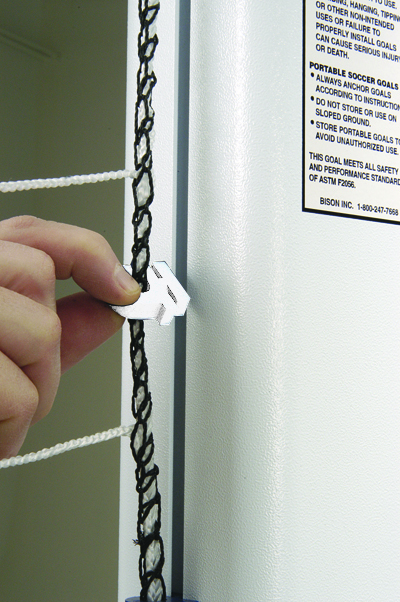 Nets (ordered separately) attach easily with our QwikTrack net clip system. 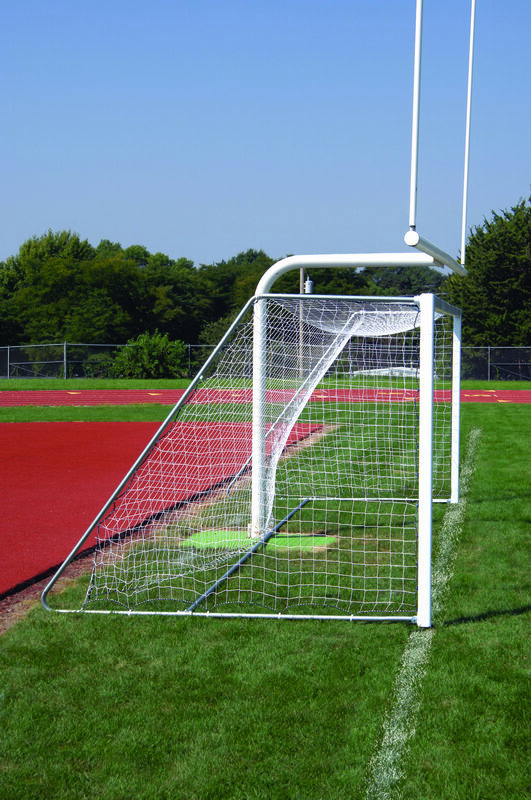 Additional standard features include ground anchor kit and super thick textured white powder coated finish, optional features include net, net storage bag, vertical post padding and ballast bags for use on artificial turf. 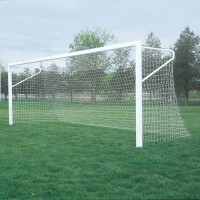 ShootOut goals carry a five-year limited warranty. 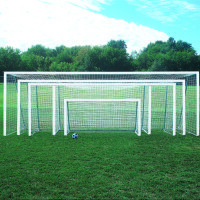 See chart for aluminum opening extrusion and overall goal size selection. 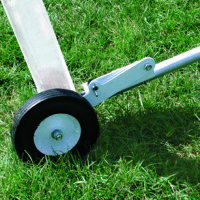 Wheel kit options available.